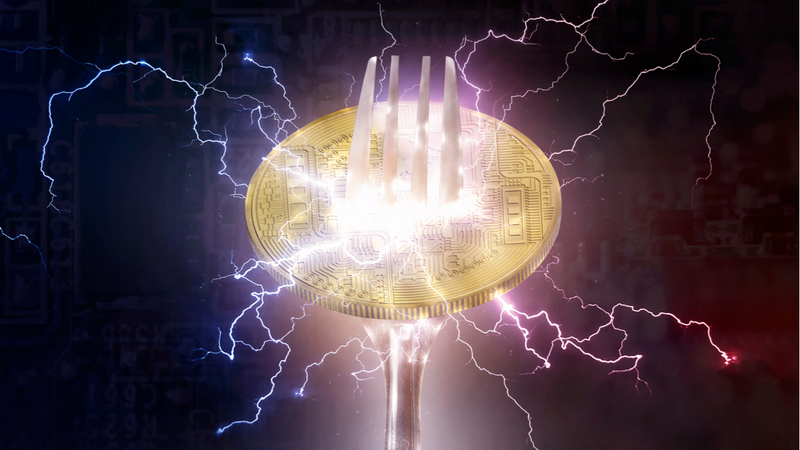 Blockchain Beach wrote an article in late 2017 explaining the Bitcoin fork that created Bitcoin Cash (BCH). A year later, it is now Bitcoin Cash with an upcoming hard fork that is creating turmoil in the markets, sending Bitcoin’s price down over 10% today. Bitcoin Cash SV (Satoshi’s Vision): This version will have an increased block size from 32MB to 128MB. The increase in block size was the main reason for the initial BTC/BCH fork. Bitcoin Cash ABC (Core Bitcoin Cash): This version will not have a change to the block size, but will include code to make cross-Blockchain swaps easier. What he is saying is that he and his supporters hold a lot of Bitcoin (BTC) and that he’s willing to sell it in order to prop up the price of his preferred BCH SV. He is coercing (you could even say threatening) Bitcoin miners (who mine both BTC and BCH) to support BCH SV over BCH ABC in order to stop him from selling BTC and increasing the downward price pressure. Today’s price drop may have been due to a combination of actual selling by Wright (to flex his muscles) and panic selling by others upon seeing an initial drop. Bitcoin ABC is backed by BCH leaders Jihan Wu (co-founder of Mining giant Bitmain) and early Bitcoin investor, Roger Ver. They could also implement Wright’s strategy to support ABC. Short term, this situation should create abnormal volatility, compared to past months, but should not a long term issue with the viability of Bitcoin (BTC). Bakkt: Bitcoin Bull Catalyst or Circumventor of the 21M Coin Cap?